This is a vintage Mr. Peanut coin bank made from solid cast iron. This is a vintage Mr. Peanut coin bank made from solid cast iron. The Planters Mr. Peanut figure has been a popular and well known American icon for decades. Just about anyone who sees this guy with his top hat and walking stick knows exactly who he is and what he brand he represented. This cast iron Planters Mr. Peanut piggy bank is very heavy and painted in solid black and tan or light brown body region. 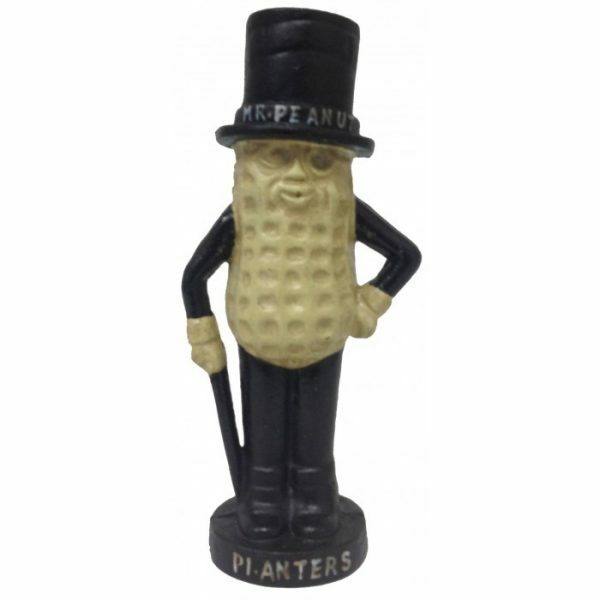 His top hat has the words "Mr. Peanut" written on it and the base below his feet reads "Planters". 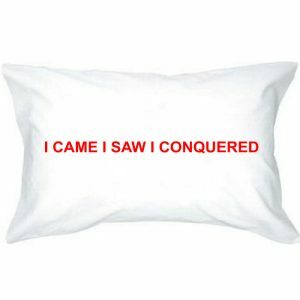 This is a great piece for the fireplace mantle or bookshelf and would make a great gift for any collector. This piece is old and has a few paint chips to note, one under his left eye you can see in the pictures, and two small spots on the back.